As carmakers continue to churn out more and more crossovers, segment overlaps and increasingly niche positionings become inevitable. Sometimes, a crossover once deemed alright may find itself falling through the cracks as the market pie keeps on getting smaller and smaller. This is a story about one of them: the 2019 Honda HR-V 1.8 E.
With the HR-V marketing push falling silent the past few months, you’re forgiven to think that it even existed. Yet, here it is and it’s actually looking quite fresh this year. 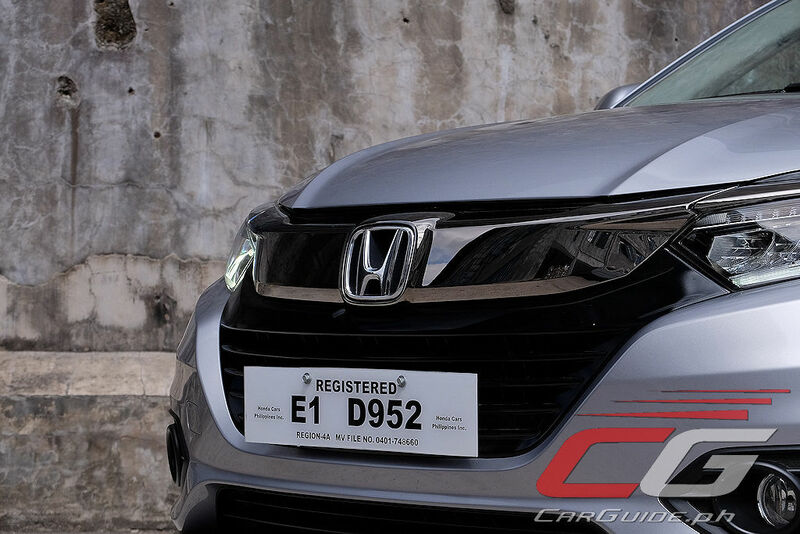 It’s gained a new front-end, peppered with shades of Civic and CR-V. And it’s all for the better. 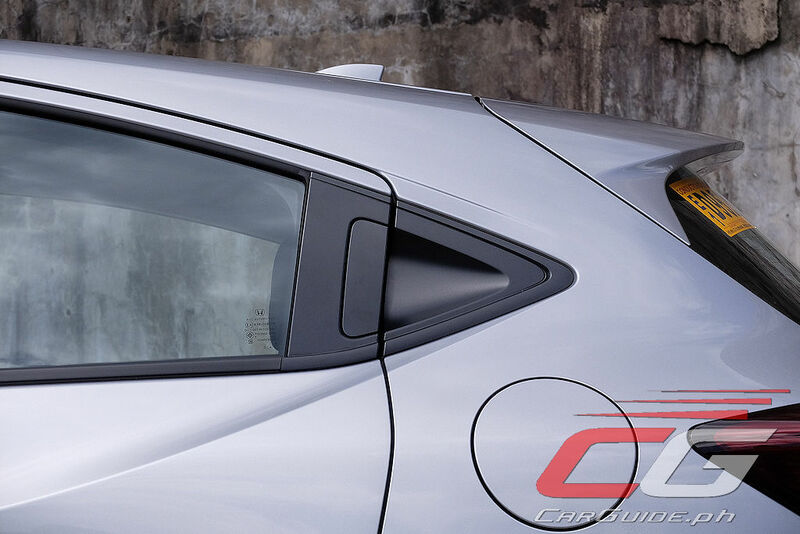 It looks cleaner and more refined now, and together with those machine-finished 17-inch alloy wheels, the exterior appearance is actually quite sharp. 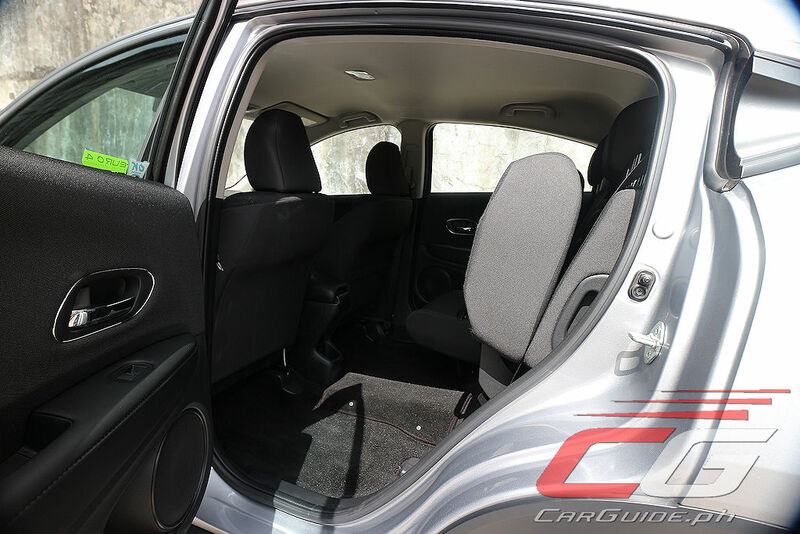 Where the HR-V lags behind is in its interior. 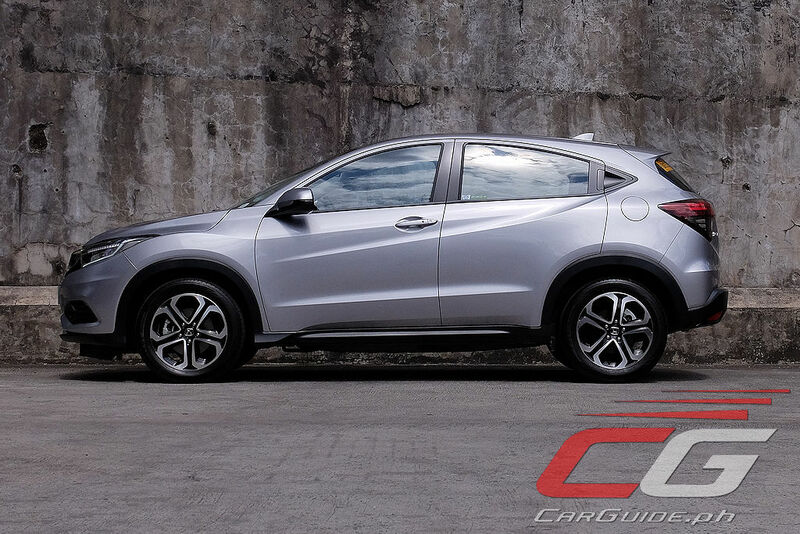 Compared to other vehicles in its price range, the HR-V has some difficulty exuding a premium feel. 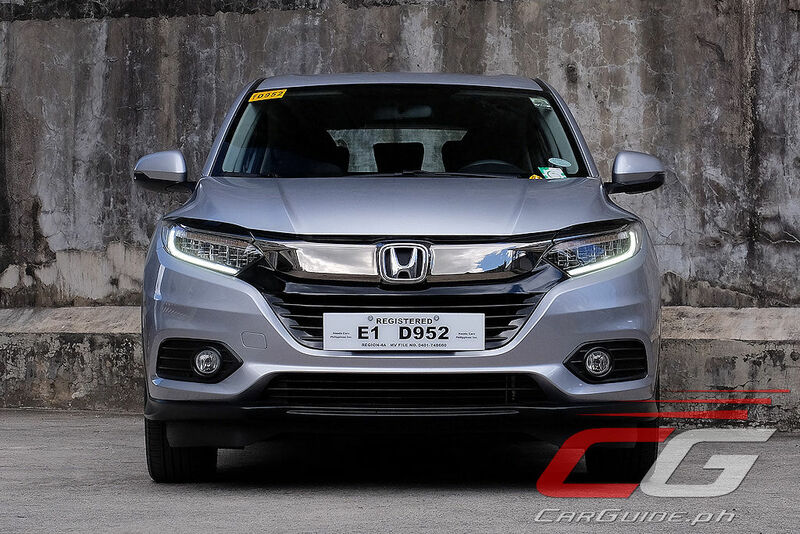 The fit and finish levels are still up there, but the overall design isn’t done in a way that it looks like it’s worth P 1.3-million. 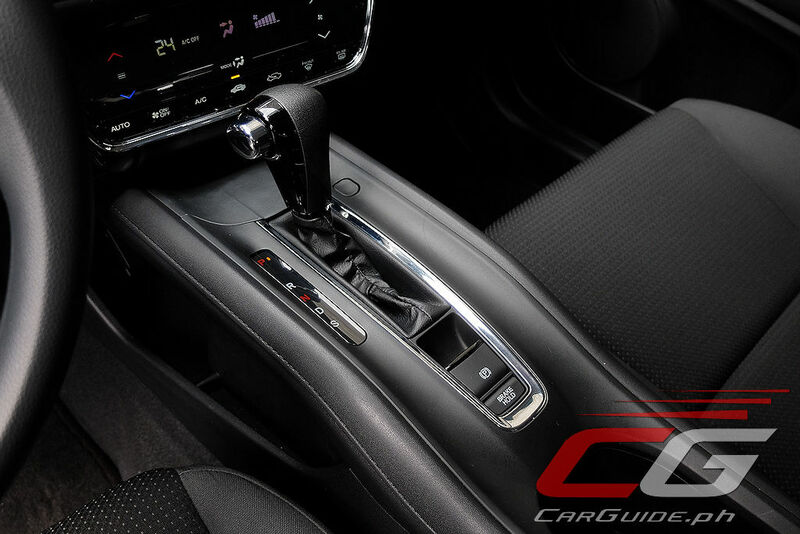 The sportscar mimicking high-set center console, touch-sensitive climate control, and triple air vents on the passenger side looked awesome once, but as with any passing fad, it now comes across as gimmicky. 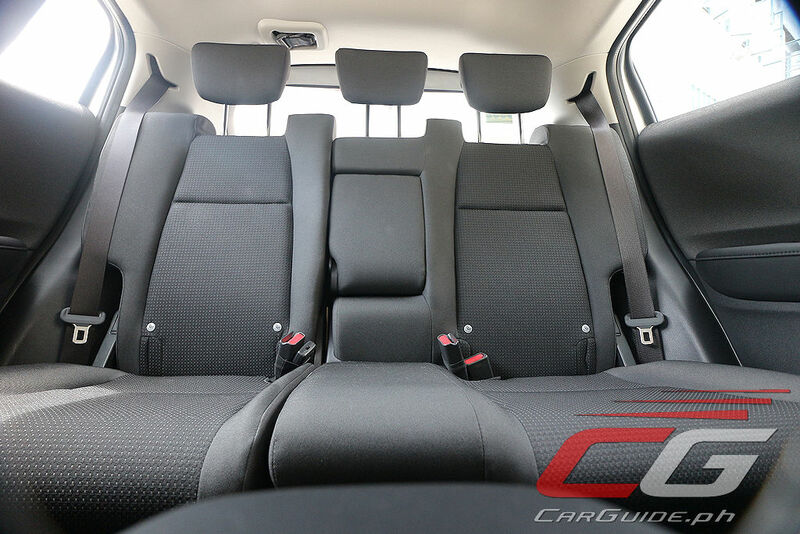 Oh, and there’s not even an ounce of leather in here, and because it’s often times a visual indicator of luxury, it presents a problem for would-be HR-V buyers. 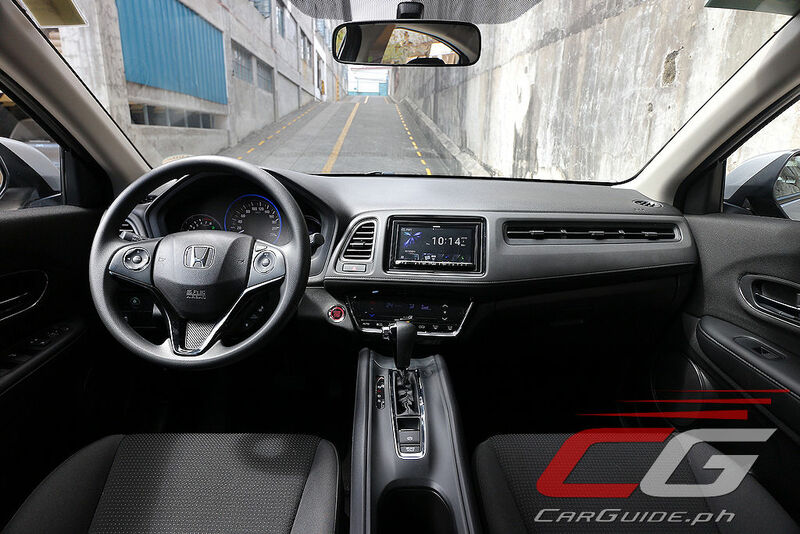 Get past the HR-V’s rather bizarre-looking dashboard and stuff, and you’re presented with something so typically Honda: an ergonomically-sound driving environment. 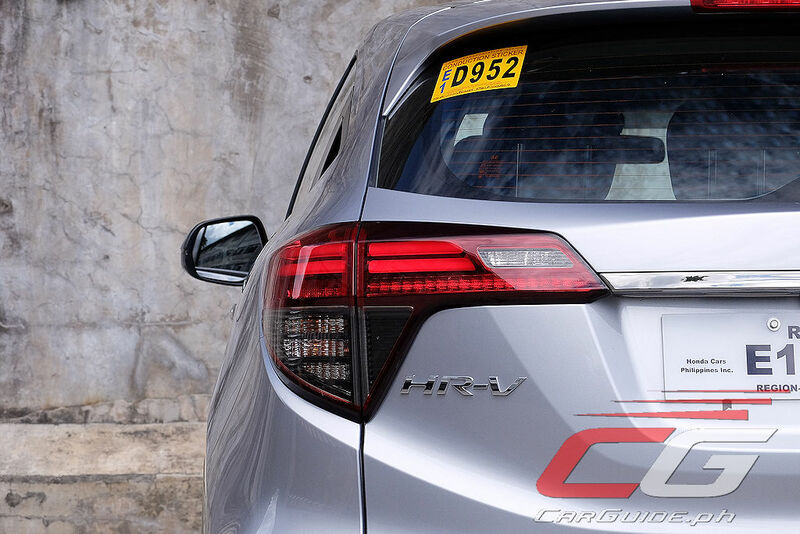 It may have been almost 4 years since its re-introduction into the Philippine market, but the HR-V still manages to score well in terms of driving comfort. The steering wheel falls right into hand, and the seats (at least the front ones) cradle the back and bum in all the right ways. 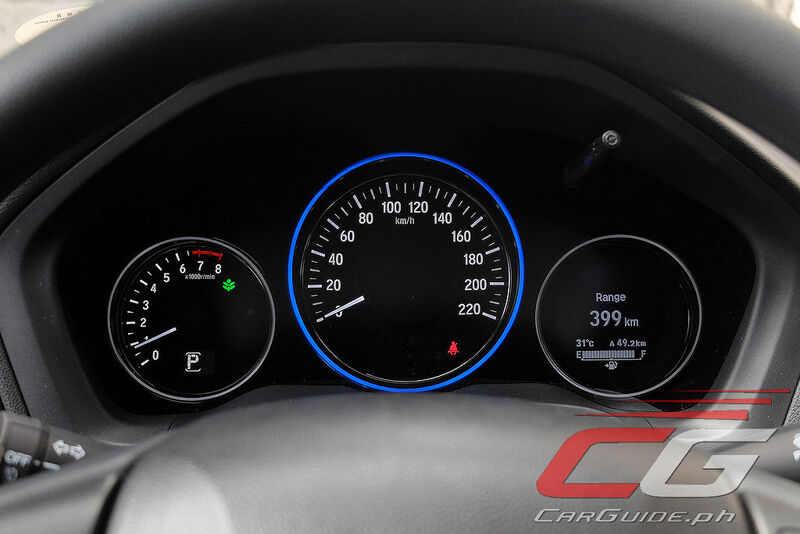 The gauges may look a bit plain, but they present all the pertinent information clearly and concisely. 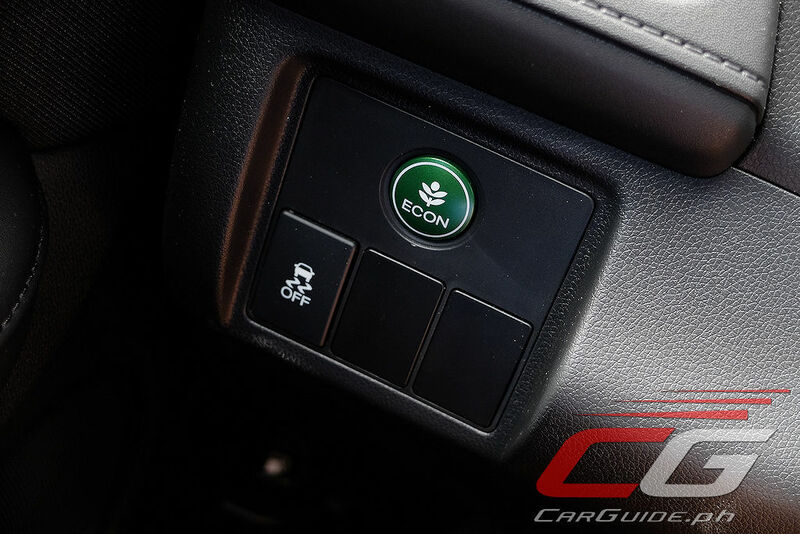 Perhaps the only two exceptions to the ergonomic soundness is the touch panel climate control (hard to operate while on the move) and the Kenwood infotainment system (clunky, slow, and confusing to navigate—not to mention, the hands-free mic’s placement looks so tacked on). 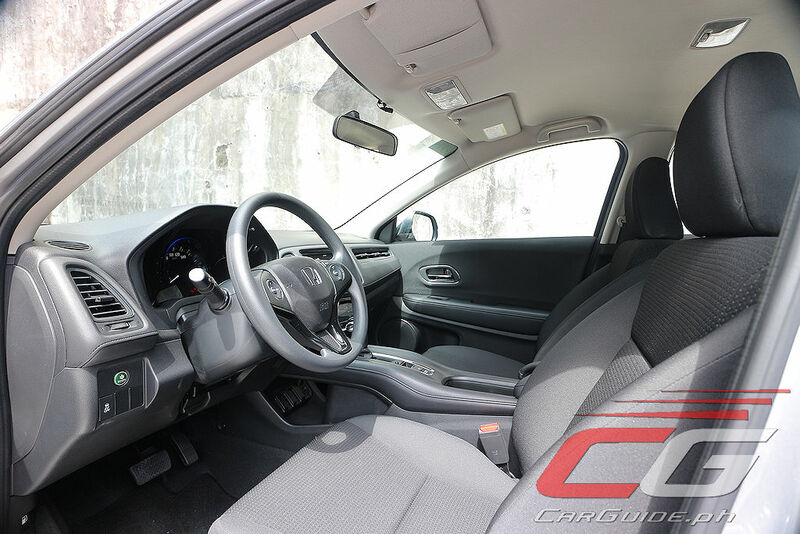 Another one of the HR-V’s strengths lies in its stellar packaging. Aside from the poorly-engineered and rather flimsy cargo cover, the hold itself is quite huge. 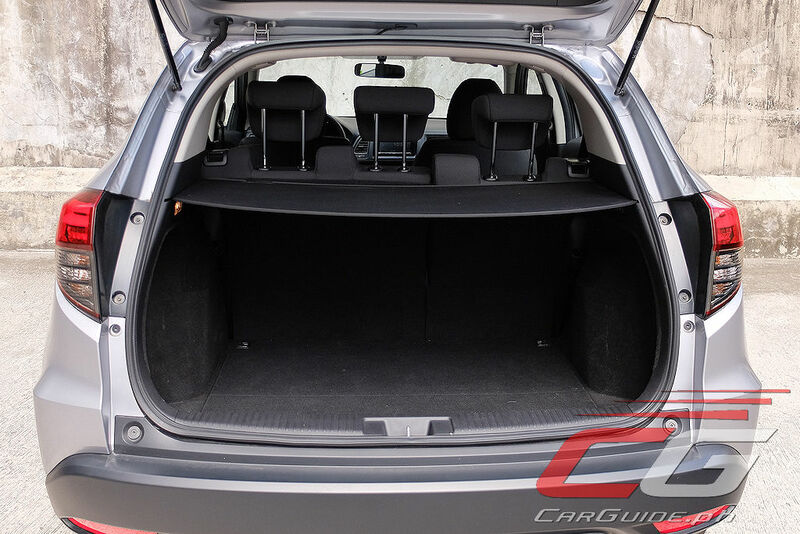 Not only that, thanks to Honda’s trick rear seats, there’s an extremely high level of versatility here. Fitting long, tall, or wide objects don’t seem to faze it at all. That said, the ULTR seats, as Honda officially calls them, sacrifices rear passenger comfort a bit because the cushions there aren’t as long or supportive as you’d expect. On the road, the HR-V behaves largely as you’d expect it to: a mix of Civic and Jazz. Using the Jazz’s platform, it’s fun and sporty, but never directly so. The steering is precise and when given a bit more turns, will get the entire chassis to play along. Despite having a torsion beam rear axle, it’s fairly obedient, understeering only when pushed hard. 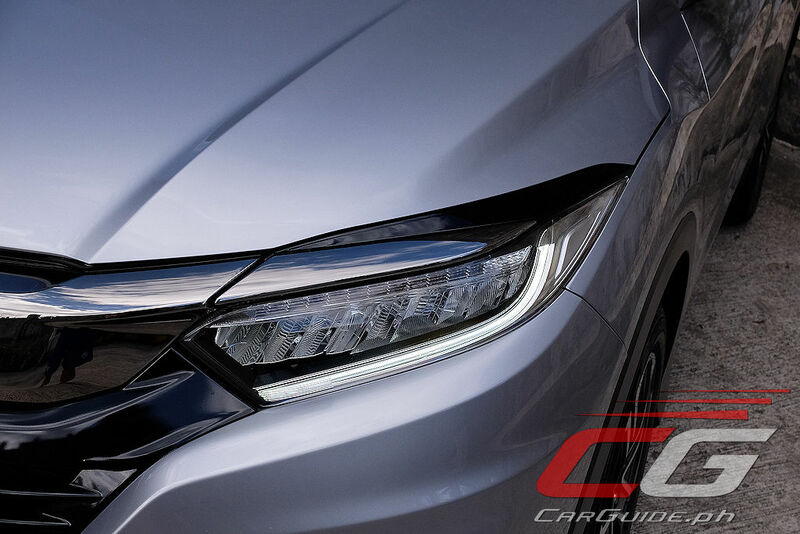 Honda hasn’t specified if the 2019 model has undergone any chassis tweaks, but it’s obvious that it rides better than before and the NVH feels largely sorted out. 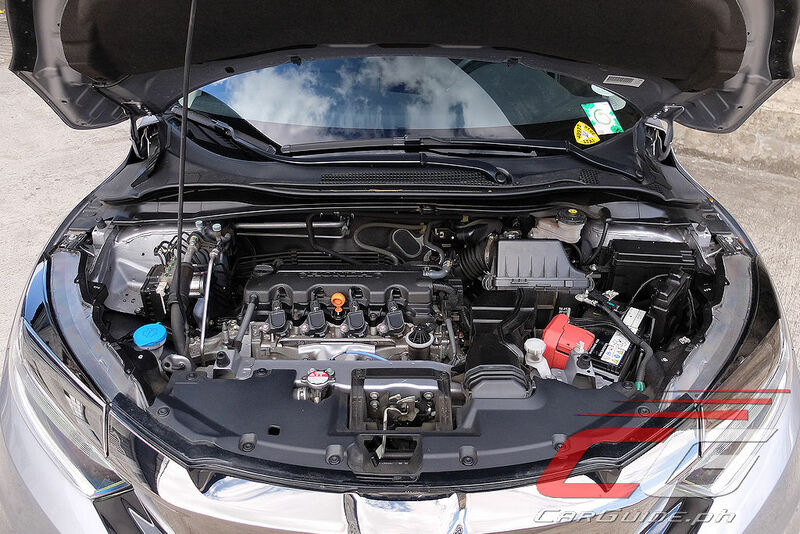 Under the hood, it has the same engine as the Civic, and thus has 142 horsepower and 172 Nm of torque at its disposal. It feels punchy, especially in stop-and-go traffic, but it’s even more surprising how adept it is during long-distance drives. 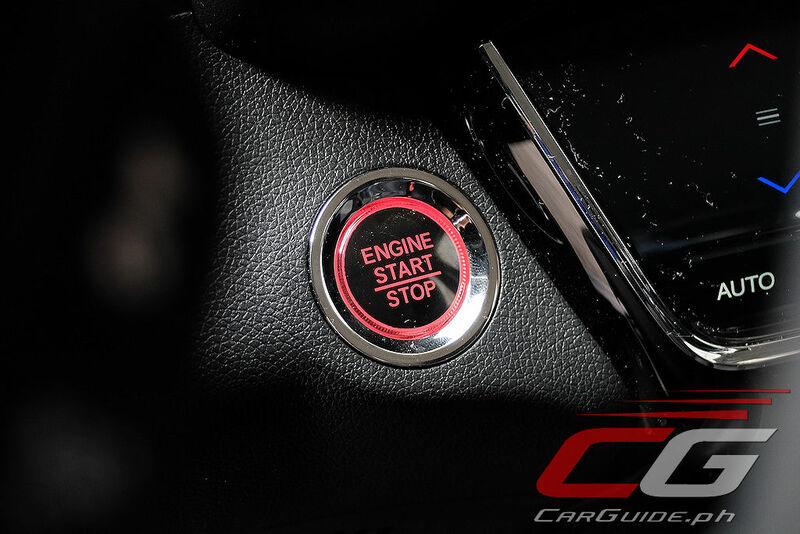 The 1.8-liter unit is smooth and refined, though the CVT does tend to overcompensate too quickly, holding revs at the slight provocation of the throttle. This creates an impression that the HR-V is underpowered when it’s not. It’s only amplified by the fact that the SOHC engine doesn’t sound particularly pleasing at full song. 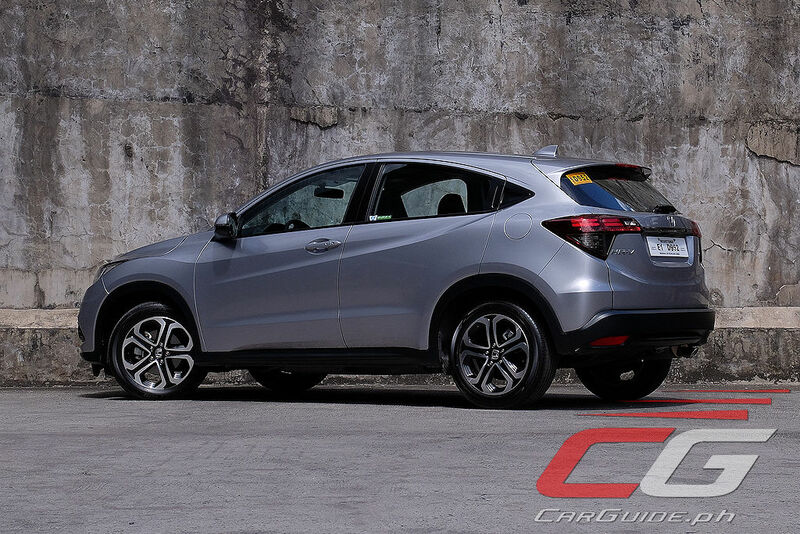 At this point, the Honda HR-V should be doing well for itself. Except for the absence of leather and maybe that woeful infotainment system, it’s well designed, excellently finished, and drives well; so, what happened? Remember how carmakers are starting to fill in every conceivable niche, especially in the lucrative crossover/SUV segment? Well, it so happens that the HR-V is stuck in a no man’s land between the BR-V and the CR-V. 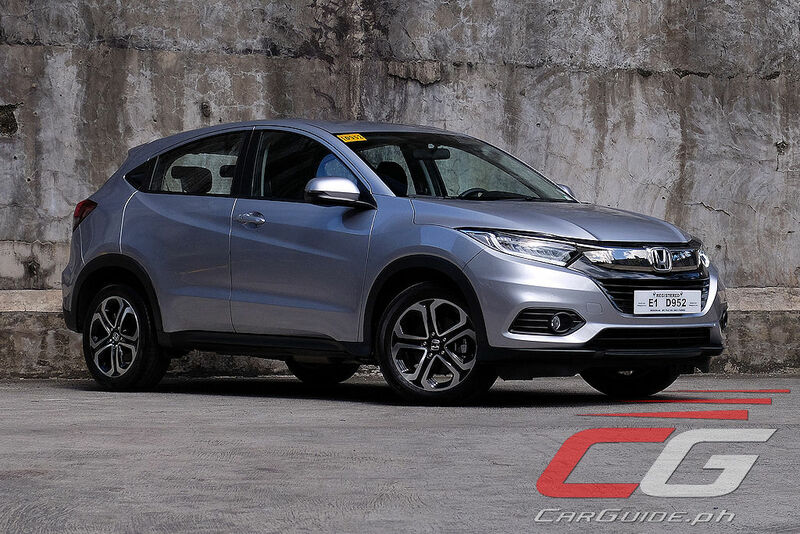 Remember, the BR-V tops out at P 1,210,000 while the CR-V starts at P 1,658,000; leaving just a P 448,000 gap to shoehorn the HR-V. 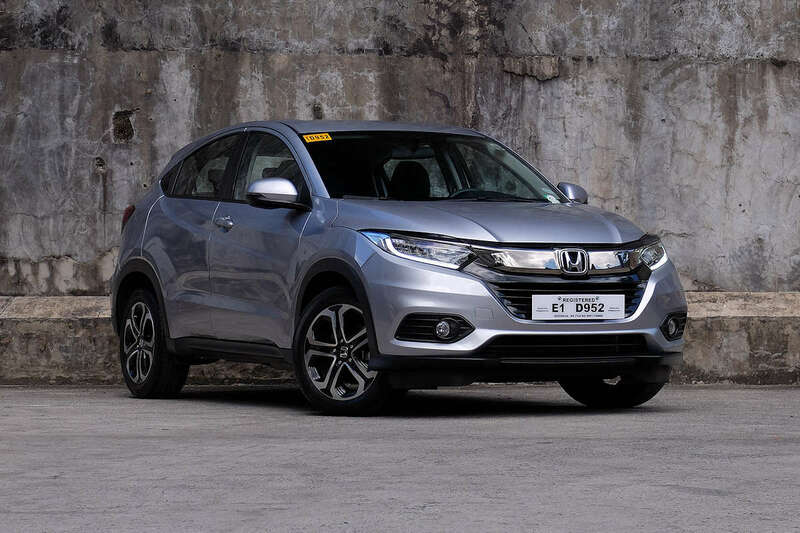 Despite Honda’s decision to trim the HR-V line-up from three to two variants, this entry-level variant is still worth P 1,295,000. Yet, it doesn’t offer seven seats or a diesel engine, primary drivers for those opting for the BR-V and the CR-V, respectively. 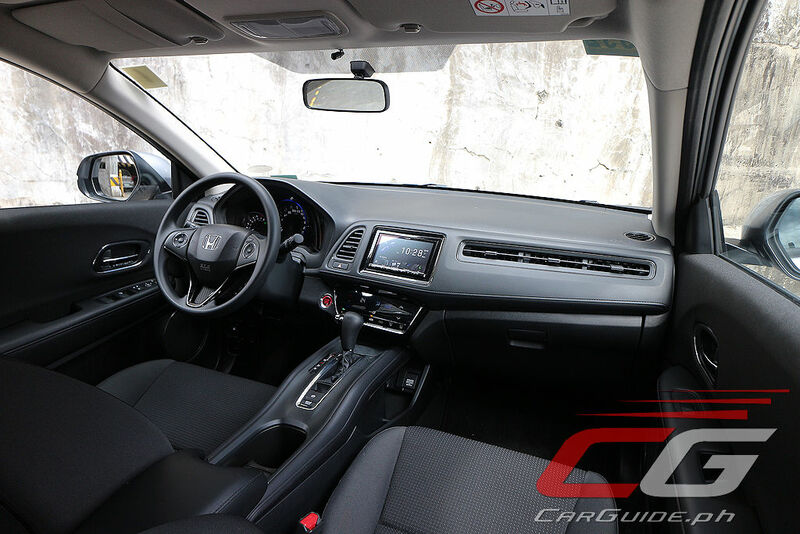 Making its case even more difficult is the existence of the Civic and its P 1,168,000 price tag. It may not be an SUV, but at P 127,000 less, it’s a whole lot of car. 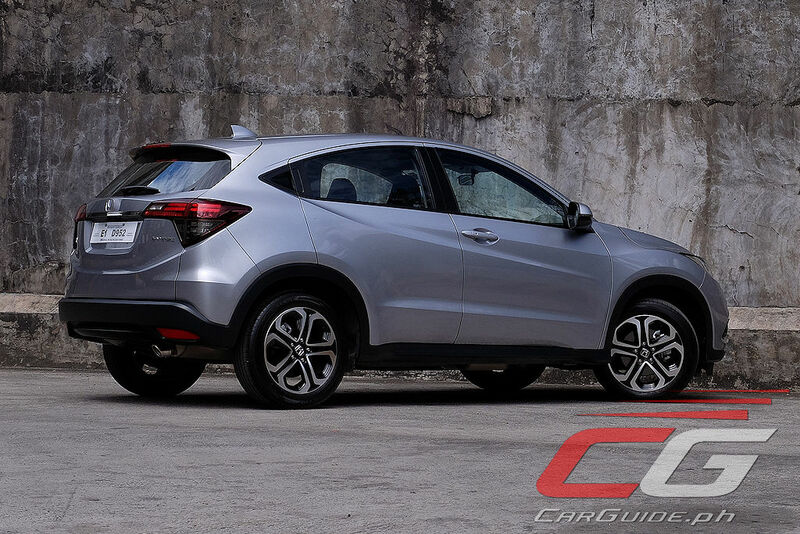 Honda seems to realize this as well, opting to limit the HR-V’s exposure to volume-driving financing promotions by concentrating instead on the Civic, BR-V, and CR-V. 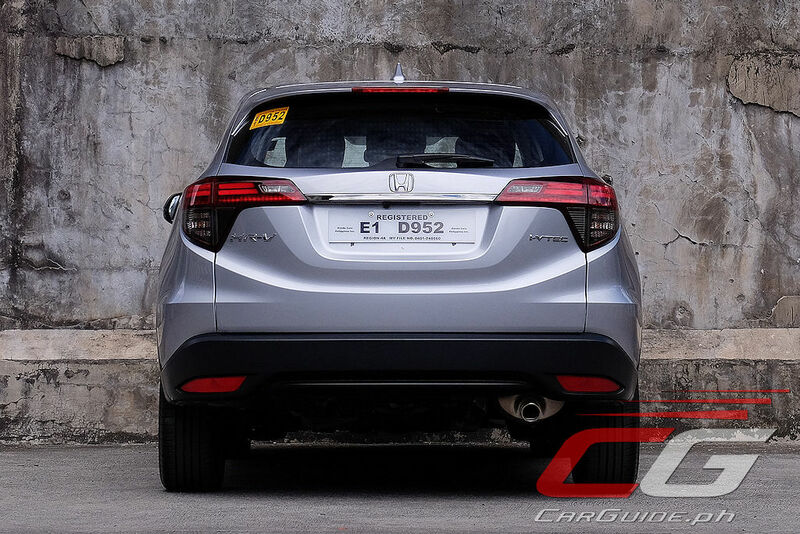 In short, Honda’s probably thinking that the HR-V is for those who want something different in their crossover; those who want something a bit more futuristic, a bit more fashionable, a bit more faddish. This may work in markets where the pie is bigger and crumbs still equate to selling thousands of units. 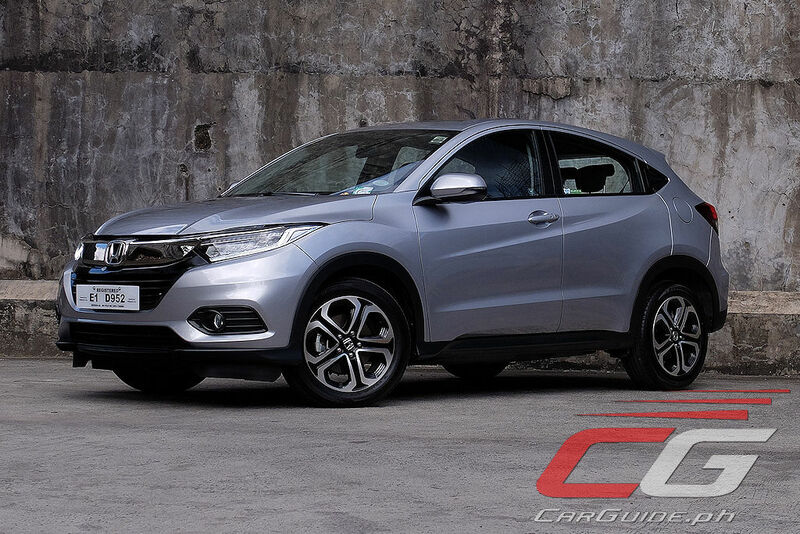 For the local setting though, the HR-V may meet the needs of the crossover buyer, but because it doesn’t do it as convincingly, its appeal is severely limited. Thanks for this review, very well written and very precise. I was actually contemplating on buying this specific model. But you are right about the interior. 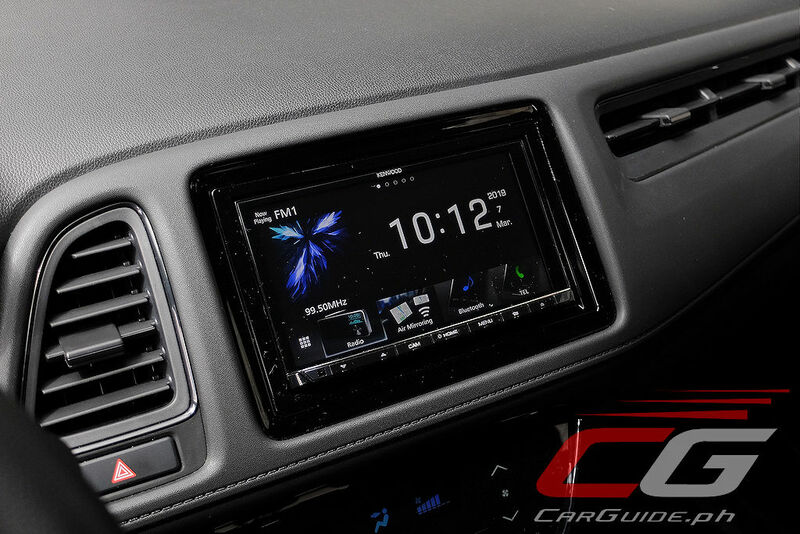 And that aftermarket headunit and the mic thats tacked on is a big letdown. 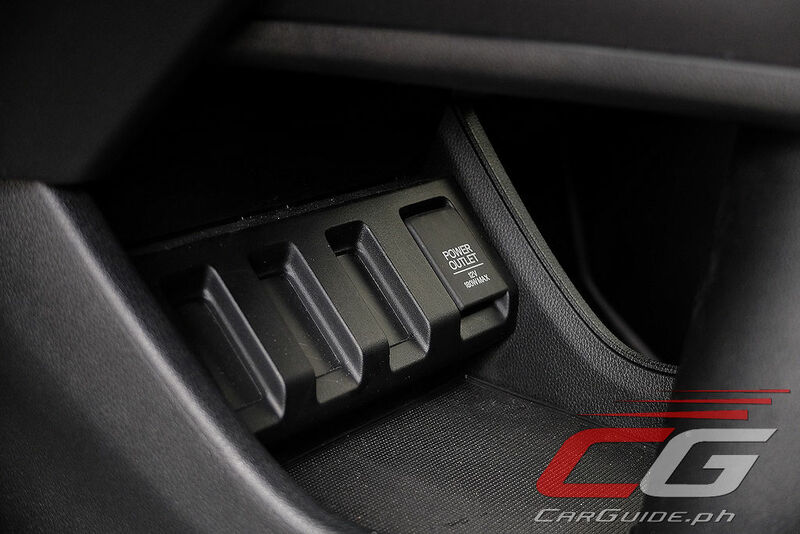 And the most annoying part is the usb ports which are found inside the glove box.